If so, what about a new Z car? Like all other mainstream automakers, Nissan is heavily invested in crossovers these days and, as evidenced by the new Titan and Titan XD, full-size trucks, too. But what about sports cars? Think about it. 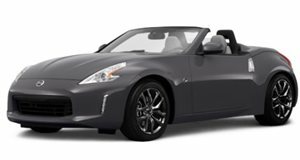 The current two in the Nissan lineup, the 370Z and GT-R are aging fast, despite the latter just receiving a thorough facelift. The 370Z has been largely unchanged for eight years now and to us that’s cause for concern. Road Show spoke to Nissan CEO, Carlos Ghosn at Paris last week about this and his answer has provided some much needed reassurance. Ghosn stated that sports cars “are flagships. They are a testimony of technology and of the brand. We’re going to continue to develop sports cars because it’s so important for the storytelling.” Yes, Nissan Rogues and Altimas are much, much more profitable than either of those two sports cars, but neither carries a “must have” stigma. In other words, without halo models, Nissan understands it’ll lose much of its cool factor. Sadly however, Nissan decided not to build a production version of 2013’s IDX concept, which many viewed as a potential competitor to the Subaru BRZ and Scion FR-S (now Toyota 86). 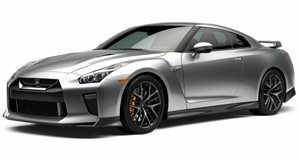 Ghosn refused to comment on any future Nissan sports cars but we already know a new GT-R is in the works. 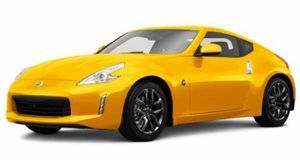 But what about a new Z car? Surely there's a market, even a small one, for Nissan's iconic and more affordable rear-wheel-drive sports car? Its future still remains unknown. The 370Z, for now, will continue on with modest updates.